Pro-tip: Don't sign up for the first colony on Mars. Those people are doomed. The second group might survive though. Two hours into humanity’s latest venture in Surviving Mars, I knew we were all going to die. Like Roanoke centuries before, brave and intrepid volunteers had set off for a foreign frontier, only to find it less hospitable than expected. 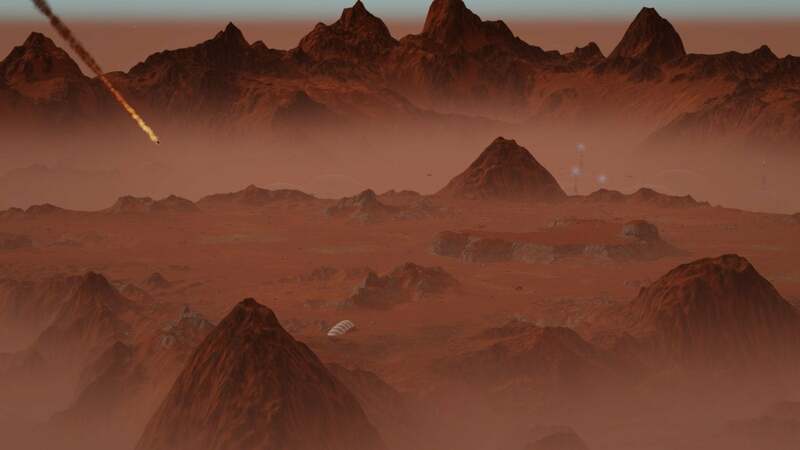 Of course, the coast of Virginia must’ve seemed like a paradise compared to the barren red expanse of Mars which lay around my doomed colonists, but the spirit was the same. The problem, as so often in history, was human error. My human error, to be exact. 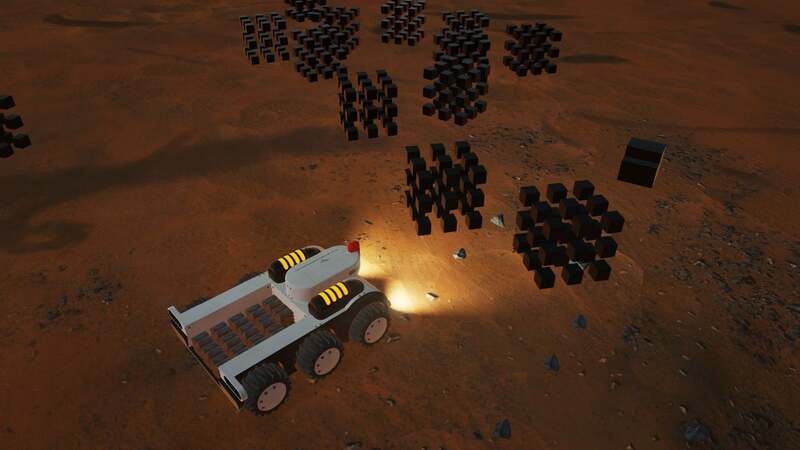 I hadn’t realized our fledgling colony needed to be near a metal deposit to effectively mine, and now metal—lifeblood of our colony, the heart of all our electronics—was in short supply. First the moisture collectors fell into disrepair, then the oxygen pumps, and then the entire electrical grid. Years of work disappeared, as the lights slowly went out on humanity’s first martian colony, the surface of Mars now as lifeless as ever. And then five minutes later the lights came back on, as I started up humanity’s second martian colony—within walking distance of a mine this time. A Martian Jamestown, if you will. This is the third time I’ve seen Surviving Mars, and probably the last before the newly announced (as in today announced) release date of March 15. It’s also the first time I’ve really played the game. I demoed it at E3 last year but that build was basically a fun sandbox with unlimited resources. Here, resources were very real and very scarce, which is good if you’re playing from home but less good if you’re a prospective Martian colonist. Surviving Mars isn’t exactly Banished levels of cruel, but the title is accurate—you’ll need to survive, even when the odds are against you. Evoking a place. That’s what Surviving Mars does best, as you might expect from Haemimont, the developers of Tropico—another builder with a strong aesthetic. Surviving Mars leans into its own mythology, and is better for it. Dust builds up on your equipment over time, damaging it. Solar panels become useless, cables break. These are uniquely Martian problems. Rarely does “Routine Maintenance” feel so stressful in a builder. It’s the human touches too, though. By far my favorite is the radio. 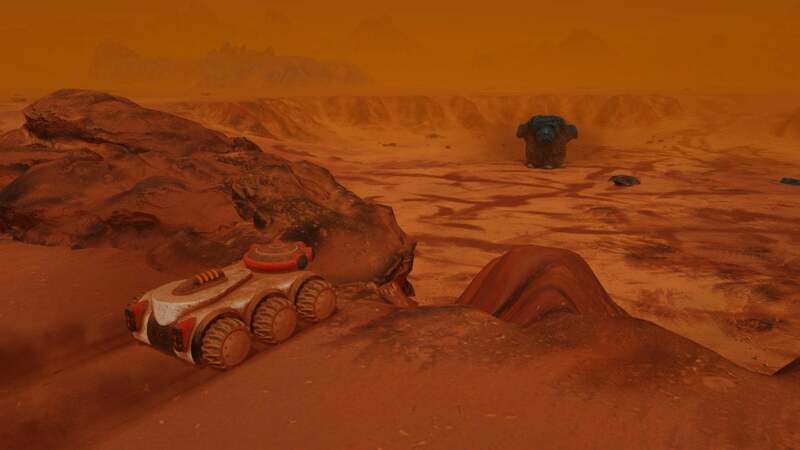 Surviving Mars features four in-game radio stations, from imaginative Martian pop to retrofuturist folk tunes. It makes Mars feel like, well, Mars—an entity already culturally separate from our own, evolving in parallel. Human, but already something different too. That’s a pretty high-concept pursuit for what’s, on the surface, a fairly standard builder. Anno 2205, for instance, did very little to separate “Moon Cities” from any of its other futuristic climes—the only real difference was the lack of air. Surviving Mars imagines an entire subculture for its colonies, which piques my interest far more than the mechanical side of things. And it’s genuinely impressive, when you’ve struggled to get a twelve-person colony self-sufficient, to find yourself managing a multi-complex colony that stretches across Mars, with regional trade systems and comfortable supply stockpiles and so on. The problem is getting there. 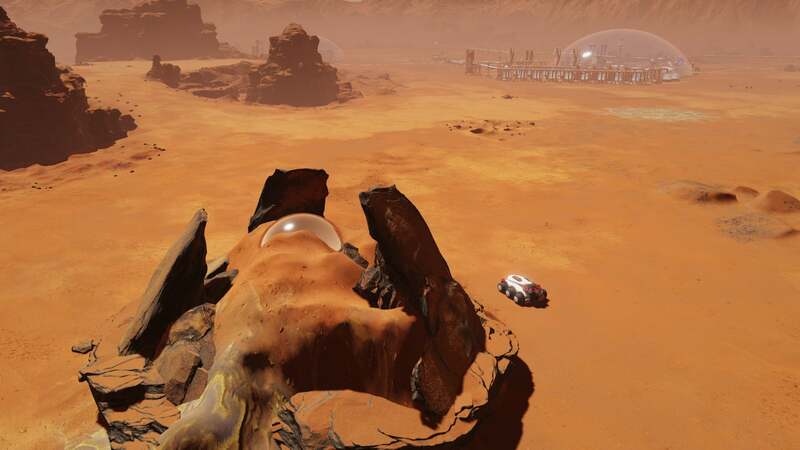 Surviving Mars has issues on two fronts. First and foremost, Surviving Mars is a learning process—and one that occasionally feels unfair. For instance, that very first colony of mine? The one that died off? They died because I literally didn’t understand how mines worked. Your colony is centered around a drone hub, and the hub’s influence extends out to a certain range. Beyond that point? You can’t build. Most buildings are fine anywhere in that hub, though. You might try and condense, both for aesthetic reasons and because it means fewer cables and pipes splayed across the surface. But otherwise, building is pretty easy. Except mines don’t work that way—they need to be within a certain distance of the actual human housing complex, which has its own separate (and smaller) radius. I guess these Martian colonists haven’t heard of “buses” or something. Not realizing this, I placed my first colony juuuuust far enough away from the mine that it was useless, and the only option was to build another housing complex next door, stretching my already-limited resources to the breaking point. My bad, but also it could be better explained. This problem is so pervasive it seems like it must be a design choice. Like, tech trees? Not actually trees. You can skip intermediate technologies if you want, even though the game doesn’t highlight this fact. And the whole drone system is incredibly confusing. They’re not workers like you’d expect from an RTS—you don’t control them directly. Instead they just sort of wander around, prioritizing what they think is important. Even after three hours playing though I couldn’t figure out whether you can move drones to a new hub, or how to get more drones, or...well, a lot of the fundamentals I’d want to understand. Drones aside, most of the quirks are learnable though, which I suppose is the point of these hybrid survival-builders. You make a note for next time—where to build, what to research. “Don’t waste your whole expedition fund buying buildings you don’t need,” that sort of stuff. Could Haemimont polish the interface up? Absolutely. But hey, I didn’t survive, and I get the feeling that’s the point. After all, this is a pseudo-simulation of humanity’s first Martian colony. Nobody said it would be easy. More worrisome is long-term play. I had my concerns about this at E3 and they weren’t alleviated by this filled-out build. Every builder, no matter how extensive, eventually reaches a point where the player has all the pieces, the challenges are mostly overcome, and you either keep playing or start coming up with your own self-enforced reasons to continue (like filling all the space on the map). In Surviving Mars this inflection point seems to come too early. The end-game is livened up by “Mysteries,” weird supernatural (or technological) occurrences that add a new wrinkle to your colony. Our demo this time focused on strange floating black cubes that appeared around Mars, with the option for us to investigate what was happening. That’s cool, but I still worry about the game being “solved” too easily—one or two failed colonies and it seems like you’d have a good foundation to hit all your goals on the next try. Those are issues to examine in the full release though—and ones that might be alleviated by mod support. 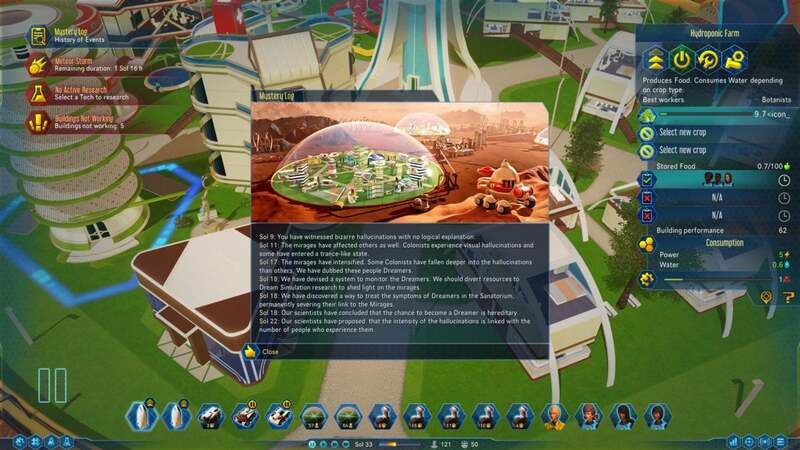 That’s today’s other big announcement, with Paradox saying that Surviving Mars will have a handful of community mods already built out for release day. Given how much that’s helped Cities: Skylines maintain relevance, it’s certainly worth mentioning. For now, I’ll just say I love the presentation. And I don’t just mean the graphics. It’s the imaginative take on humanity’s future—the music, the architecture, all of it. 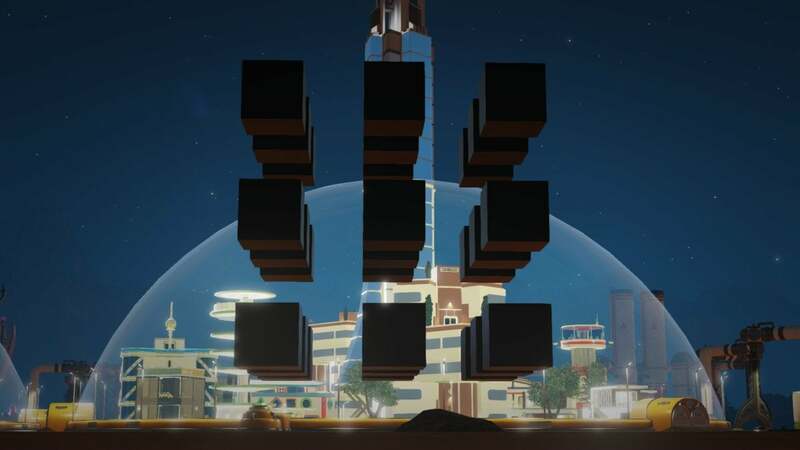 That’s not something we often see take center-stage in a builder, and it sets Surviving Mars apart despite some nagging flaws.